The jewel box offers something new for today's quilter --Medallion quilts with TEN sides. 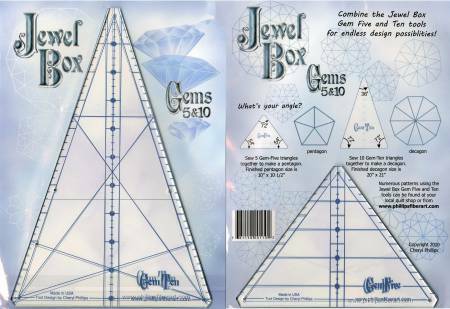 Make many unique designs with the set of Jewel Box tools. Both tools are screen printed and made from 1/8in acrylic.